This T&D Path was first developed in 1986. This represents the 1st of 2 updates over 6 years. Each were minimal. As always, it depends. In Learning – it depends on context. 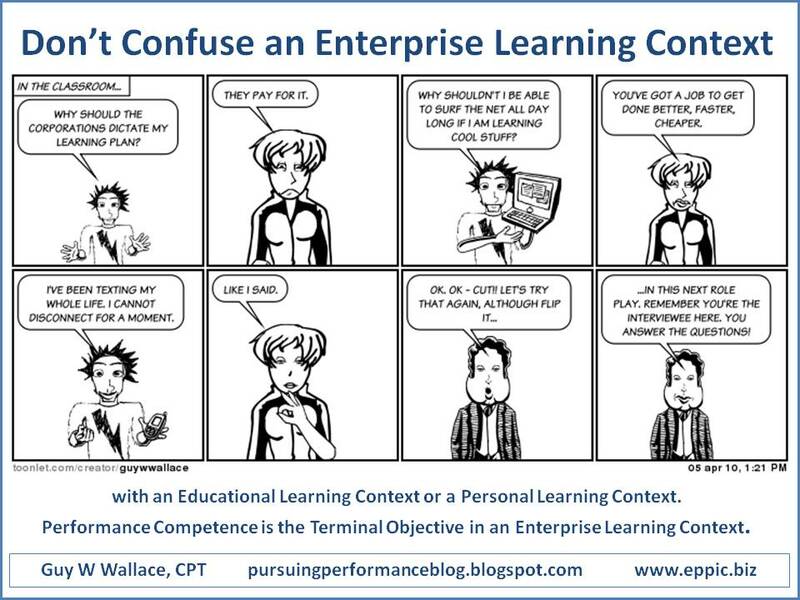 In the Enterprise Learning Context the investments in Learning, Training, Knowledge Management/ EPSS – should be quantifiable – if imperfectly. Close enough as some have said before. And the returns, like-wise. Imperfectly too. But the purpose in an Enterprise context is that those investment dollars might have been put to better use in terms of financial returns for financial investments elsewhere – as estimated imperfectly but similarly – for that opportunity. And if there are more opportunities for investments for returns than investment dollars and time, than something has to give… something has to be given up. Some things are just higher priorities. And in business ROI, or RONA, or EVA or some other business metric or metrics-set helps make those business decisions using some agreed-upon rationale. This client group had 1100 people responsible for hundreds of millions in product development dollar “investments” – high RISK and high REWARD. 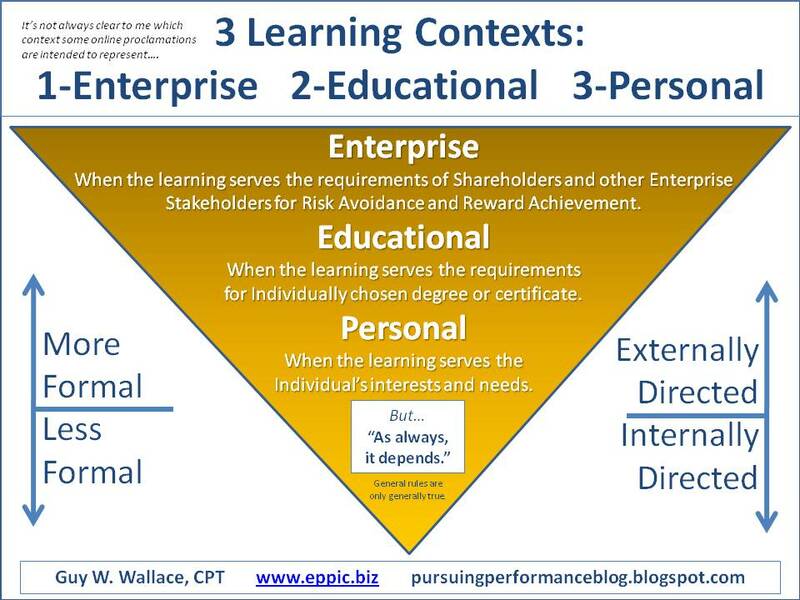 A good target for FORMAL LEARNING and DIRECTED INFORMAL LEARNING (which is a contradiction to many). My client gave me permission to use this video in my communications efforts many years ago. I present it to you here in its entirety (un-cut). …and to what level/extent Formal versus Informal is best leveraged. 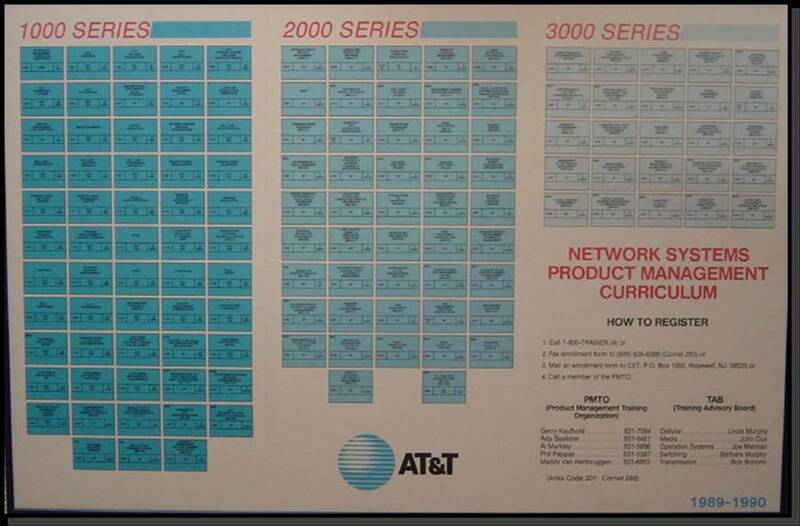 In the AT&T project the client was just leaving a monopoly environment and entering a competitive environment. And the Product Management groups in 4 (and then 5) SBUs, who were bringing new products to market, managing existing product from introduction to growth to maturity and perhaps to decline and discontinuance. And many PMs had perhaps many products at different stages of the life cycle – moving at different speeds. 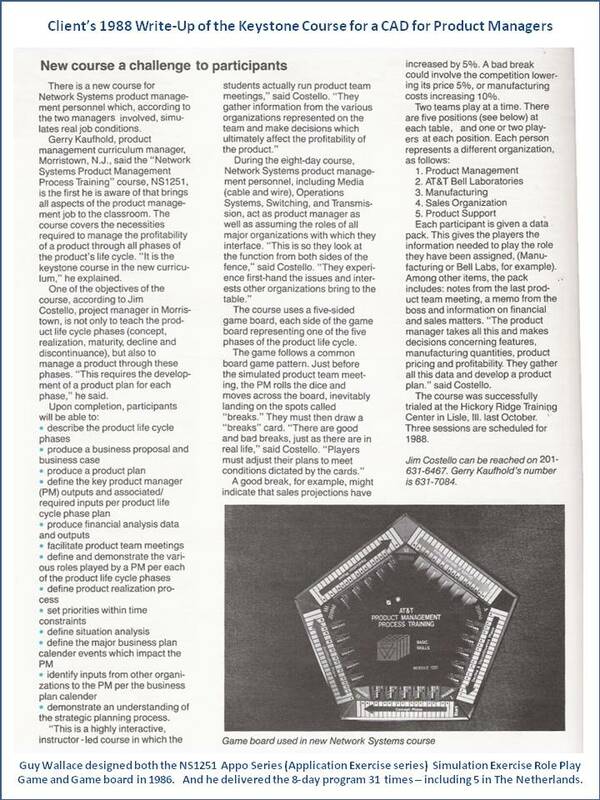 And the PM job, of which there were 1100 variations, involved anywhere from a portion of 1 of 8 segments (Areas of Performance – or “Functions” per the video) – “up to” all portions of all 8 segments of the PM job’s Performance Model for many products moving at differing speeds. High RISK and High REWARD. Very. Time for formal training and directed informal learning. 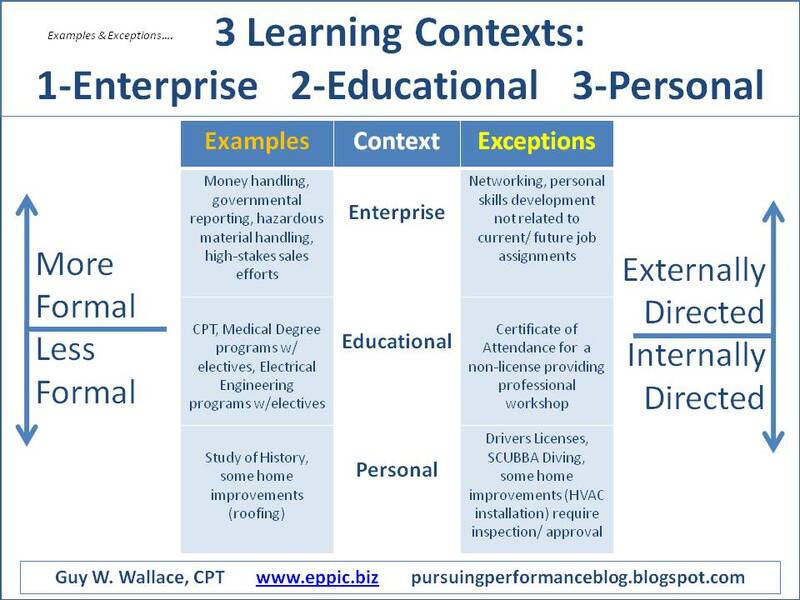 And decreasing the time and costs to Performance Competence. Leveraging current Master Performers to do so. Big R for relatively low I – everything being relative, Risk and Reward-wise.